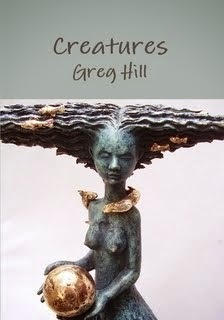 Cronicl yr Awen: An Allegory of Summer? 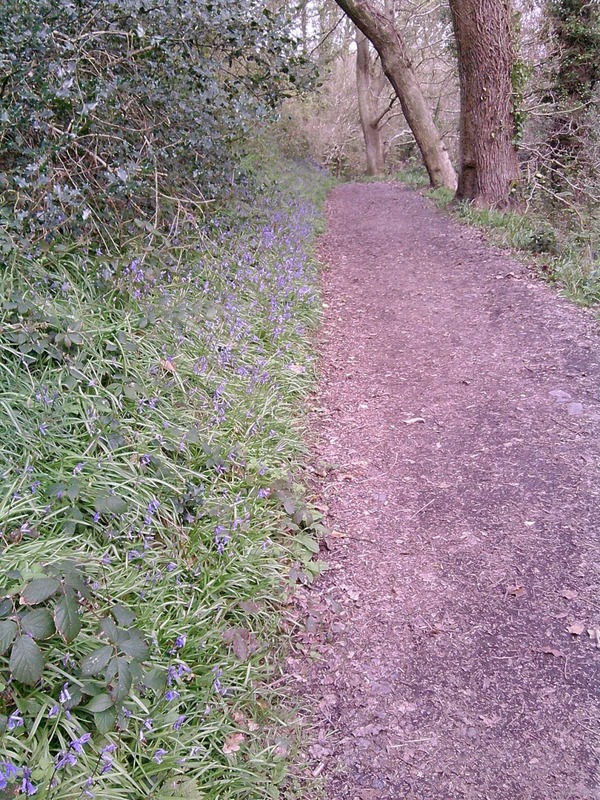 The path through the woodland was lined with bluebells just a few days ago. Now broken petals hang and fade: the promise of summer just a short while ago now unfulfilled as the cold weather, wind and heavy rain have struck it down. Back in the winter while walking this path I noticed a large nest in the crook of a bare tree seen from the high ridge path which is level with the tops of the great oaks growing further down the hillside. Now those oaks have lost their newly developed growing tips which lie on the woodland floor with partial leaf and flower like stunted sprays. The nest is not yet obscured by leaves, though the buzzard sitting on it is perfectly camouflaged to the naked eye, her feathers blending with the dry twigs of the nest. But with binoculars she is clearly visible, with one eye looking in my direction as if she is aware of my distant spying. Above the wood her partner circles in a wide arc, buffeted by the wind and the sudden squalls of rain. So the season moves backwards from a promising start. But there is blossom on the trees and blown in drifts on the ground like snow. The grass is growing green with splashes of yellow, white, pink as the spring flowers grow up with it and dandelions are already seeding as they will continue to do through the summer. A summer that will come in its own time, so that, even on chillier days, the winter will be a distant memory, the long dark nights a remotely imagined past and future time. But just for now it is the wind and the rain that are our weather companions and we must walk with them as we will. I hear alot of places have been hit badly by wind and rain... in the sheltered valleys of Lancashire this hasn't been the case. 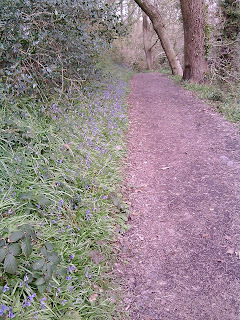 Sorry to hear about your battered bluebells.